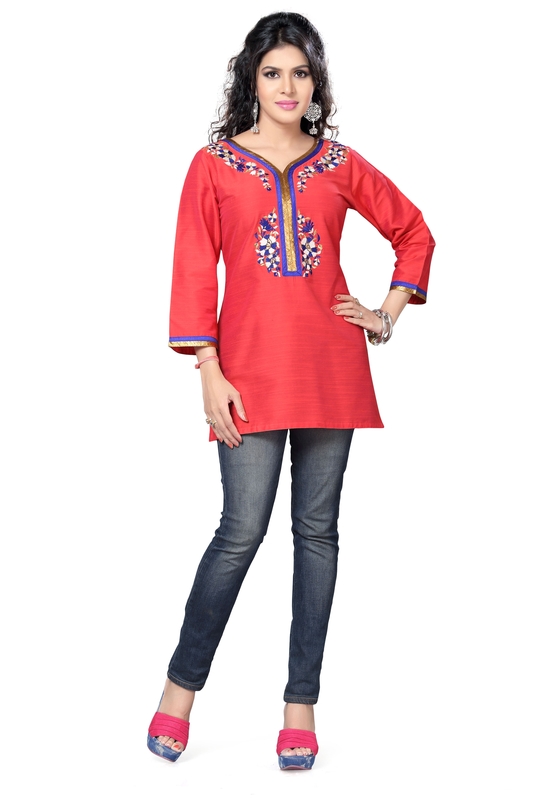 Hit up the party scene like a stunner in this Rebellious Red Short Tunic Top with Embroidery by the house of Snehal Creation. This short piece comes with a ban collar taped blue with matching taping at the base and sleeves. Underneath the collar is a pintex pattern lined by floral embroidery on the edges making it look ravishing.